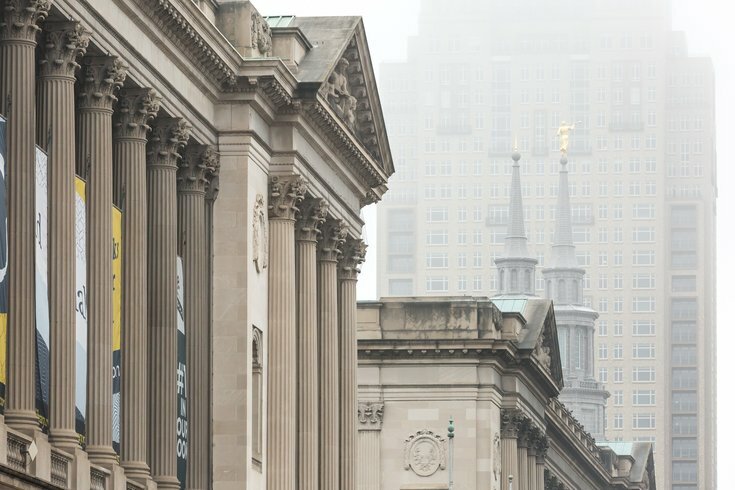 The Free Library and the Philadelphia Mormon Temple on a foggy morning. Oscar-winning actor, director and activist Sean Penn is coming to Philly this March, to discuss his first novel Bob Honey Who Just Do Stuff. The darkly funny, fictional book is about Bob Honey, a modern American man who is a jack-of-all-trades. He's a septic tank salesman but also a part-time assassin. Eventually, Honey decides it's time to make a change and fight back against some of America’s most deeply entrenched monoliths. Penn will be at the Free Library of Philadelphia's Parkway Central branch on Thursday, March 29, at noon. Tickets to the event are $30 and include Penn's book. They will go sale at 10 a.m. on Tuesday, Feb. 27.